Co-Owner of Neve/coldLogic and Goji. Owner of FATEwear, FATEplay, FATEstep and creator of FATEeyes. 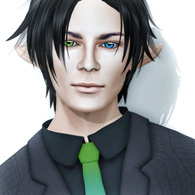 An innovative SecondLife enthusiast since 2003!